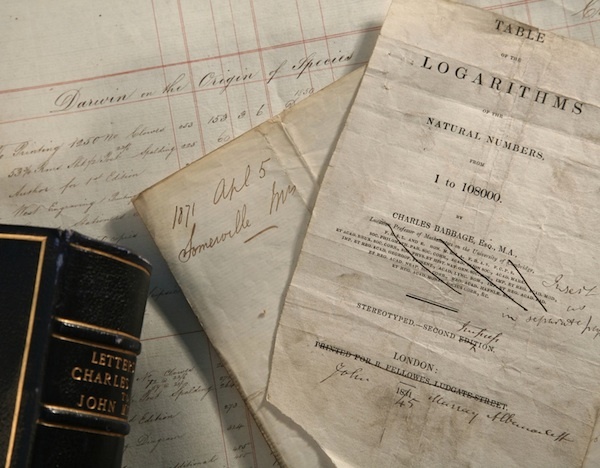 The United Nations Educational, Scientific and Cultural Organization (UNESCO) has selected the John Murray Archive (JMA) as one of the 2011 additions into the UK Memory of the World Register. In its inaugural year in 2010 the Library had four inclusions in the register including maps from cartographer Timothy Pont and books from Scotland’s first printers Walter Chepman and Andrew Myllar. The register is a global celebration of heritage, focusing on archive, library items and collections of outstanding universal value, with a remit to promote their merits. The JMA, which is now permanently housed at the National Library of Scotland following its recent acquisition, is a treasure trove of over 200 years of the Murray firm’s publishing history. Featuring over 250,000 items, the JMA contains letters, manuscripts and business records from over 16,000 people, including some of the greatest writers, politicians, explorers and scientists of the late 18th to the mid 20th centuries. Charles Darwin, Lord Byron, Jane Austen, Sir Walter Scott and David Livingstone are just some of those great names published by the Murray family since 1768. The UK Memory of the World Register was established last year with the aim of highlighting some of the UK’s lesser-known items of historical interest by awarding them with the globally-recognised Memory of the World status. The Bank of Scotland Archives and Lothian Health Services Archive on Aids/HIV were also selected by UNESCO.